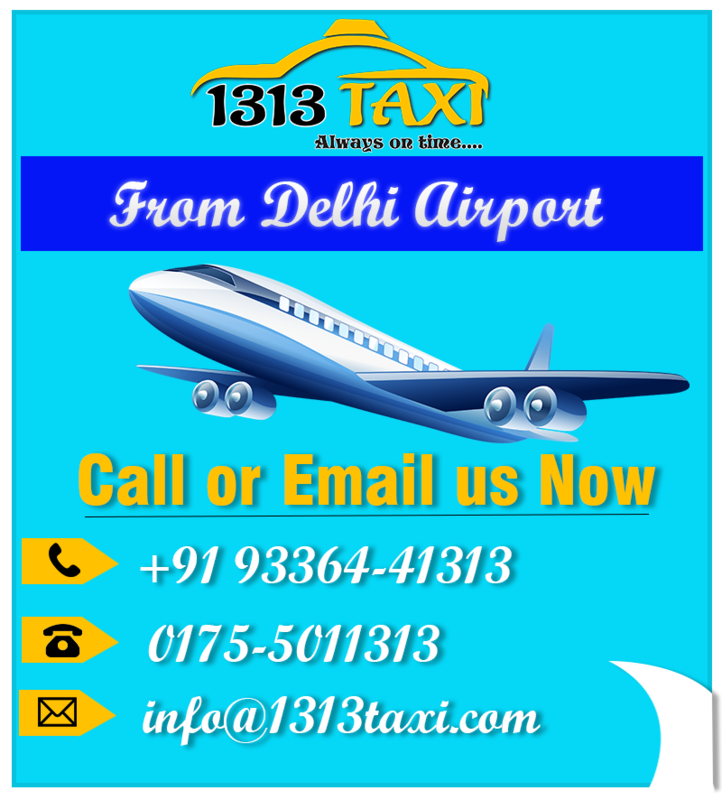 Cab Service in Mohali: 1313 taxi is touching new heights in the tours and travels industry since its inception. With huge experience and dedication, we are enjoying the sky with our excellent cab service in Mohali. It has a strong customer base in north India and still progressing. Our humble and dedicated chauffeurs are very hard-working and passionate about their job. You have to just tell them your traveling needs, they will assist you accordingly. We are working day and night 24*7 and you can opt us anytime anywhere. 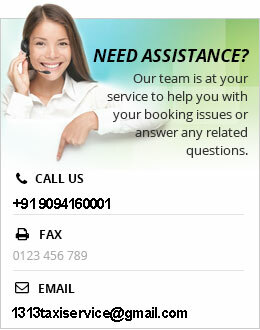 So why to waste time anymore, just pick your phone and arrange your transfer with best taxi service in Mohali right now. Mohali is the major district of Punjab. Being the neighbour city of Chandigarh, Panchkula, Shimla and Kalka etc. it has a great importance from the tours and traveling point of view. So accordingly we have the attractive cab service in Mohali. This year we are going to celebrate our 10th anniversary and we have achieved this accomplishment just because of our quality cab service in Mohali. We have gained a massive experience to deal with the customers in an exceptional way. 1313 taxi has unique quality specifications with regard to the tourism industry. Talking about the district Mohali, it has recorded a splendid growth in this particular field over the last few decades. Due to the effect of globalization and increasing literacy rate among the people, thousands of trips are being made every day. It may be either an individual trip or a family trip. But we at 1313 taxi are always ready to meet the demands. We are promised to deliver quality taxi service in Chandigarh, Mohali and Patiala that are even at reasonable prices. Customers can hope from us for the quality cab service in Mohali. It is our prime responsibility to serve our priceless customers with the same. Secondly, we work with the motto ‘100% customer satisfaction.’ To make our customers fully satisfied is our priority all the way. We never disappoint them at any cost and try to serve them with their favorite environment in the taxi service in Patiala, Mohali and all other cities. Our drivers are professionally-trained, experienced and well dressed up. They are passionate to work smartly. They are soft-spoken and well educated as well are expert to handle the circumstances easily. Apart from it, we are quite responsive, determined and competent towards our responsibility. We are fully responsible for the safety and security of our customers. There will not be any kind of risk and danger to the life of customers while traveling with our affordable cab service in Mohali, cab service in Amritsar and cab service in Jalandhar as well. We have a collection of vehicles with great variety. It differs in designs, seats etc. Thus customers have several options of vehicles to choose from. About our pricing policy, we are quite reasonable at price fares. Along with, our customers are free to pay the payment through a number of modes like cash, cheque, credit card, debit card etc.